PREtrition* (180 veggie caps), a mild and gentle cleanse to support the body’s preparation for the optimum ÜFORIA experience. 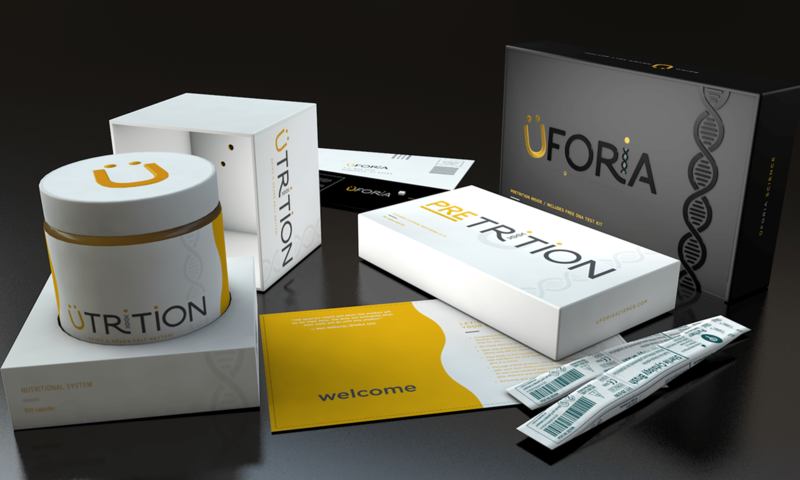 PREtrition contains a robust combination of quality and active ingredients including AC-11, Frankincense, and Astaxanthin. Complete DNA test kit, with a prepaid return envelope to send your samples to our HIPPA/CLIA certified lab. Once you receive your kit at home, you can go to Üstart.com to register your kit and pay for your $199 lab fee. For a limited time, receive a $100 discount coupon toward your $199.95 lab fee. This coupon is also included in your Üstart kit.